UFC 227 Pay-Per-view event features two title fights, which is set to go down this Saturday (August 4, 2018) from inside Staples Center in Los Angeles, California. 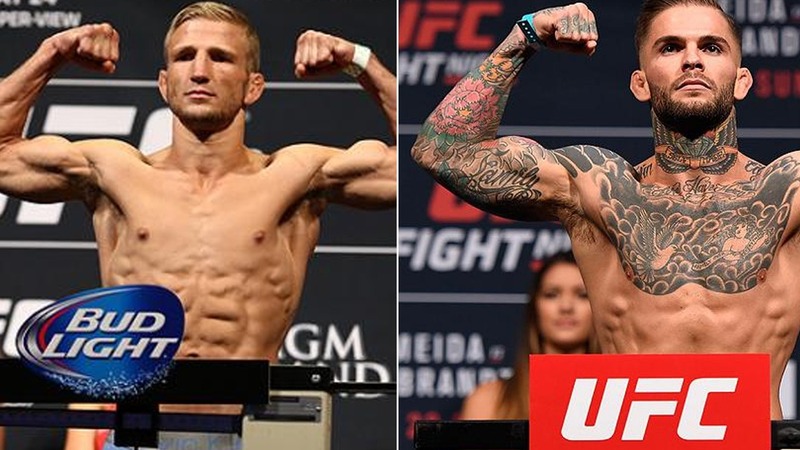 In the main event, former teammates and training partners T.J. Dillashaw and Cody Garbrandt will meet in a rematch from their first encounter at UFC 217 back In November, where Dillashaw knocked-out Garbrandt in the second stanza. The defeat was the first setback in Cody Garbrandt’s career. Meanwhile, in the co-main event, UFC flyweight champion Demetrious Johnson will square off Henry Cejudo for the second time. In their first outing, Johnson successfully defended his title by picking a first-round knockout win over Henry at UFC 197 and defended his title three times since then. UFC officials held the official weigh-ins on Friday, with the ceremonial weigh-ins will take place at 6 p.m. ET. For ceremonial weigh-ins check the video below that starts at 6 p.m ET.